We at IPAW are Happy to Help You! Do you have an invasive species problem or care about invasive species in your area? 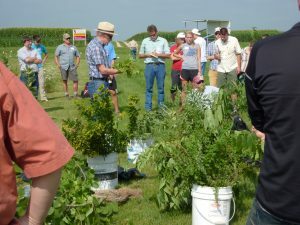 IPAW has a number of tools and technologies that keep our members and interested individuals up-to-date on the latest on identifying, treating and managing invasive plants. There are several ways that IPAW can help you identify invasive plants. You can take high-resolution photographs of your invasive plant and email us. Make sure to take photos of different parts of your plant (i.e., close-up of leaves, stems, flowers) and a photo of the entire plant. 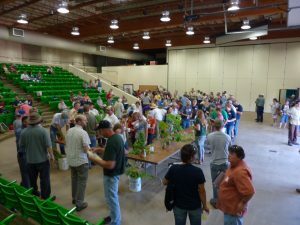 Email your photos to us or bring the photos or a sample of the plant to an IPAW event (i.e., Garden Expo, workshop, field day or conference). We’ll let you know what it is. Come to one of IPAW’s field days, workshops or conferences and learn about invasive plants and how to manage them. Check out our website’s Upcoming Events periodically to find out when these events take place. Better yet, become a member and we will email you information about upcoming events. Our website also offers recommendations on how to control invasive plants. IPAW is an umbrella organization for Wisconsin’s Cooperative Invasive Species Management Areas (CISMAs). CISMAs are local organizations that work with landowners and land managers to help control invasive species. IPAW can also help your local organization or group by providing speakers to talk about invasive plants and invasive plant management. The best way for you to stay in touch with IPAW is becoming a member. We also suggest that you join our Yahoo Groups listserv to keep up with Wisconsin’s invasive plant issues.